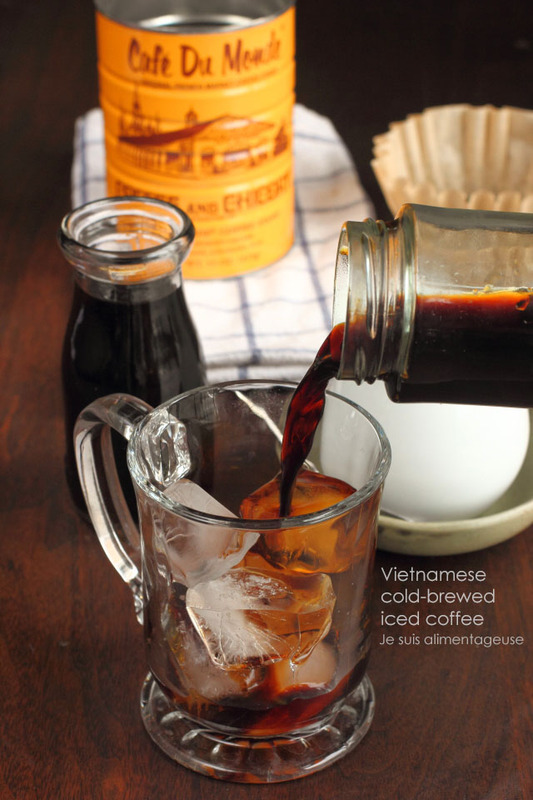 Vietnamese Cold-Brewed Iced Coffee – Strong, smooth, and sweet. Shock! 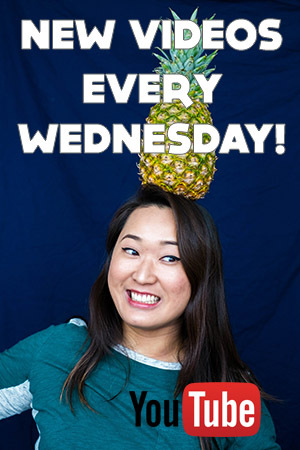 It’s a post on Wednesday instead of the usual Thursday. Why you ask? Well, I’m writing my last paper of my MA, which marks an end of an era. My academic career is coming to a close (for now…?). My schedule will no longer be dictated by classes, meetings, deadlines, or other school-related functions. I’M FREE! …almost. I just need to finish this paper. I’ve mentioned before that I’m not much of a coffee drinker. It’s not the taste, I actually quite like the taste of coffee. I think it’s the addictiveness of caffeine, how it makes me really jittery, the resulting awful coffee breath, and the price that deters me from drinking it too often. My mom’s logic is that $1.50/day = almost $550/year and that could be better spent on other things like piano lessons, ballet shoes, or books. Uh, this was when I was 10 and I asked my mom what coffee tasted like. So yes, piano lessons, ballet shoes, and books were a priority for me back then. But even though I don’t drink coffee very often, I have very fond memories of coffee. I remember being 8 or 9 and preparing my dad’s coffee while he was getting ready for the graveyard shift. A tablespoon of instant coffee mix, a spoonful of Coffeemate, and some sugar. I would break up the instant coffee granules into the sugar and then get yelled at my dad: “Äá»«ng phÃ¡!” promptly followed by slapping my hand and giving me evil eyes. Whoops. The instant coffee mixture would swirl as he poured in boiling water and I had the pleasure of stirring until it was all dissolved. 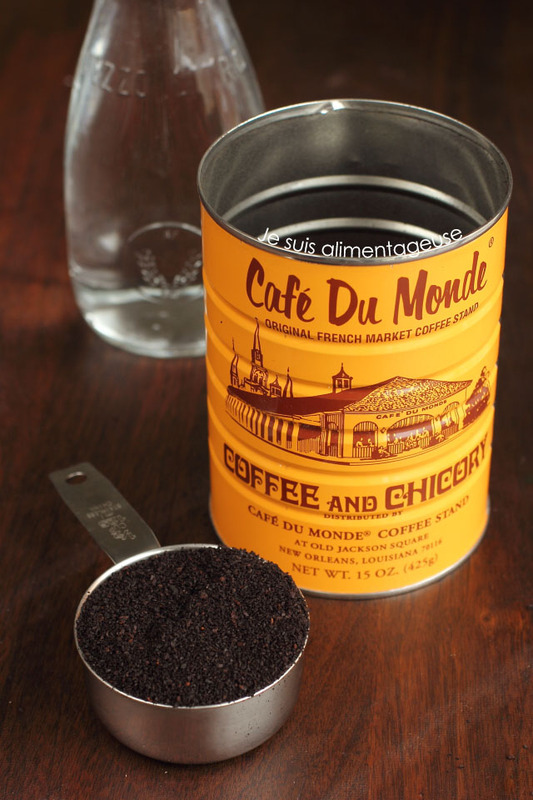 I’d inhale the sweet smell of instant coffee (which I understand is probably revolting to you fancy coffee drinkers) but 8-year-old me loved that smell. In later years, when my dad had a less hectic routine at his factory, he’d enjoy a cup of actual coffee, Vietnamese style. 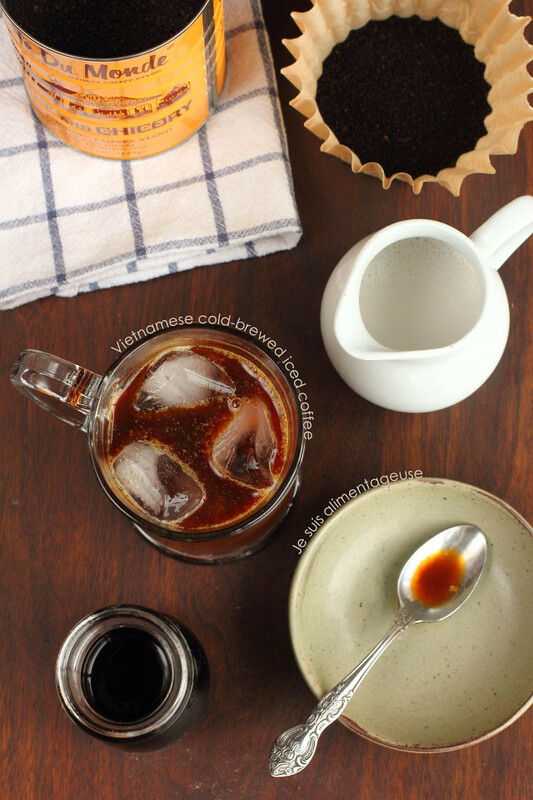 Vietnamese coffee is dark, smooth, with a hint of woody chicory flavour and often sweetened with a heaping spoonful of sweetened condensed milk. It’s brewed in a special little contraption that presses the grinds so the coffee slowly drips into a concentrated black pool of wonder. I would sit and watch the little drips of coffee fall onto the layer of condensed milk and burn myself as I tried to peek and see how much boiling water was left in the little pot. Then I would get yelled at again for being stupid. But I actually have one of the little coffee pots and I instagrammed a cup of my Viet coffee from before I was vegan. Vietnamese coffee is quite strong, and even this massive mug of coffee is too big for most Viet coffee drinkers. A typical cup is usually about 1/4 cup coffee, with about 1 cup of crushed ice. 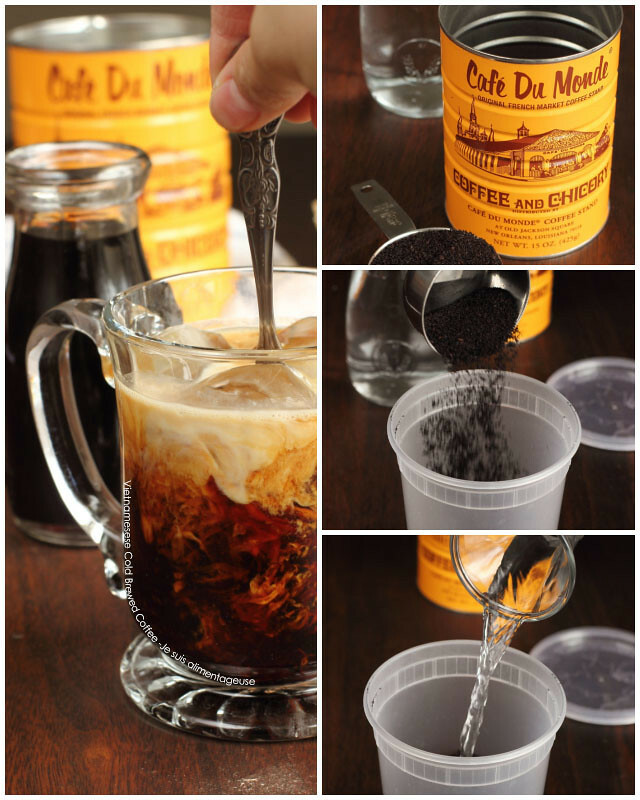 But since I loved my strong iced coffee, I’ve lightened the recipe so you can enjoy it like you would iced coffee, but with that wonderful woody flavour that Vietnamese coffee is wont to have. 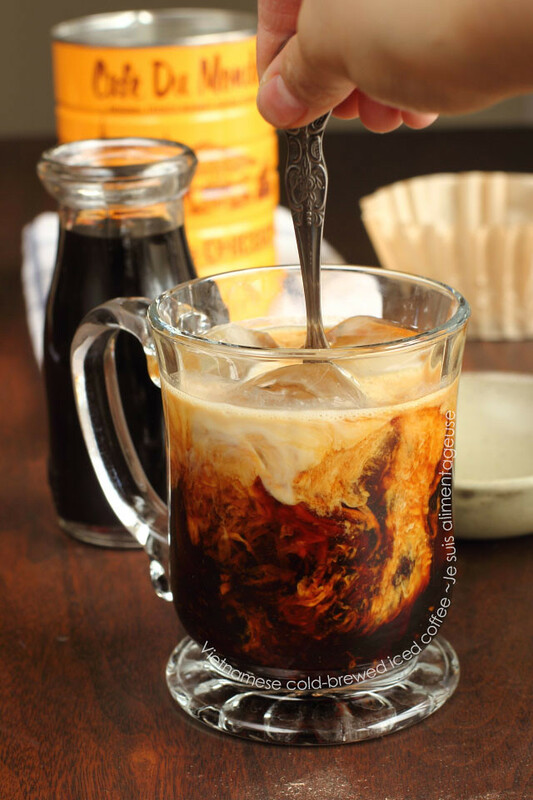 CÃ phe sá»­a Ä‘Ã¡Â [Vietnamese iced coffee] is a weakness of mine and I would drink a glass every day back when I was volunteering in Vietnam for three months. I tried making a vegan sweetened condensed milk by cooking down coconut milk and maple syrup, but it didn’t quite mix well and the colour is a little bleh so I’m still working on it. To add some milkiness, add a splash of almond milk or other milk alternative. Almond milk isn’t as smooth and silky as dairy milk so it might look a little odd at first but don’t worry. It’s just as delicious. Sweeten with maple syrup for more woody flavour, agave if that’s what you’ve got, or other liquid sweetener. Since it’s cold-brewed, it’s already less bitter and naturally sweeter than hot-brewed coffee, so you don’t need to sweeten it as much. Sip on it in the morning, at work, or if you’re in the midst of exam season like me, while you’re studying and writing that final paper. Good luck to my fellow students! To cold-brew the coffee, mix together coffee grounds and water in a covered large jar or container and let it sit for at least 8 hours and up to 24 hours at room temperature. Strain using a coffee filter over a sieve into another large container. Transfer into a clean jar to store in the fridge. Pour over ice, stir in almond milk and sweetener to your liking. Traditional Vietnamese coffee is made with sweetened condensed milk but since this is cold, it's harder to stir in. Loved reading your story about growing up and loving the smell of coffee. Making coffee for your dad seemed a bit tough :-) I also love ca phe sua da. Delish! 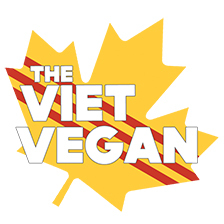 Used this recipe this weekend for a bahn mi brunch with friends and it was fantastic! There were a lot of lively conversations once everyone got a few sips in....thank you for sharing! I have no idea! I've never really been interested in that kind of thing so I'd probably pass, but I wouldn't trust it unless you saw the label/ingredients for the "butter"
A cold brewed coffee? How cool is that?! I have heard so much about it but my lazy self is just not ready to go all out and try something new! But I guess this would turn out good. Would surely note this recipe down for another day!